Last week, the Cultural Intelligence Centre announced that every participant on Coca-Cola’s high potential leader program is tested for cultural intelligence (CQ); the ability to function effectively in culturally diverse settings (1), or put simply – how well you get on with people different from yourself (may that be in age, national culture, profession, religion, gender and so on). We take a look at why organisations on the forefront of glocalisation today are harnessing and developing cultural intelligence in their leaders. Glocalisation is the incorporation of both local and international strategy. Some simple examples include McDonald’s extensive vegetarian menu in India, Starbucks’ Ramadan cup designs in Malaysia and Singapore and subtle tweaks to advertising such as adaptation of commercials by DELL (2). To successfully lead glocalisation strategy and implementation across cultures, leaders are increasingly in need of cultural intelligence (3). Those with higher CQ are able to achieve better results in cross-cultural negotiation; with CQ helping negotiators behave in a cooperative way when faced with a context where they had to adapt their behaviour (5). One of the key causes of failures when it comes to international negotiation is a lack of cross-cultural understanding of the negotiators involved (6). It is easy to see how a failure to recognize the importance of ‘saving face’ for Indonesians or the value of building relationships prior to business in China could de-rail even a simple negotiation. and decision-making (8). Some have cautiously estimated that the average Fortune 500 company spends $50 million a year on developing products that never even make it to the market (9) although it is even harder to calculate the long term cost to a brand of an unsuccessful product launch. As companies continue to globalise, product launches become increasingly tricky. From the more complex cases where subtle social cues have caused failures (for example eBay’s failure in China due to their lack of appreciation of guanxi (11)) to Pepsi-Cola’s failure in South East Asia after changing advertising colours to those representing death and mourning, it is clear that leaders with the ability to adapt to new cultures have great value to international firms. Individuals with higher levels of cultural intelligence have been found to be adaptable when it comes to professional performance expatriate assignments (12) and making international business decisions (13). Between 20-45% of expatriate assignments are estimated to end prematurely to the contract termination date (or to put it less politely, they fail), with costs per failed expat assignment totaling up to £2 million (around $3.1 million) (14). Whilst issues such as familial dissatisfaction can cause a great deal of issues for those on expat assignments, the failure to adapt leadership and working styles can result in professional as well as personal issues through conflict and demoralisation; failing to appreciate why teammates in Asia may not speak-up so much compared to American colleagues can be one example of this (15). A recent article by The Boston Consulting Group, boldly named ‘There’s No Such Thing as Corporate DNA’ further highlighted the need for adaptation or ‘radical change’ for companies navigating today’s ‘era of drastic change’ (17). Despite the need for change, we still see leaders clinging to their firm’s heritage and tried-and- tested frameworks, sometimes right into bankruptcy. As a psychology student myself, I have spent time researching the difficulties we face when changing our minds, and it’s an almost-impossible task (18), often especially difficult for those with many following their previous work. Change can be scary, but if you want to bring your products or services to a new culture, you need to be prepared to make a hell of a lot of adjustments. By recognizing the need for cultural intelligence, firms are providing leaders with the right skills for adaptation across cultures; they will have the ability to negotiate, make the right judgment calls and adjust their leadership styles in line with whatever the future holds. 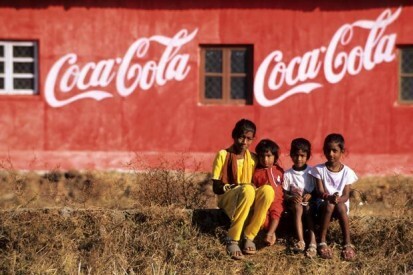 And that’s why Coca-Cola trains their high potential leaders in cultural intelligence. Cultural intelligence, the ability to adapt behaviors across cultures, is linked to improved performance in multicultural work groups, expatriate assignments and overseas study programs (1). With corporations blazing ahead on paths to globalization, we have seen a need for cultural intelligence like never before. Navigating dynamic cultural behaviors, norms, beliefs and values has become the next great challenge for managers and employees. Please reach-out to The Change School at hello@thechangeschool.com to introduce yourself and find out more about our cultural intelligence team programs. 1) Ang, S., Van Dyne, L., Koh, C., Ng, K. Y., Templer, K. J., Tay, C., & Chandrasekar, N. A. (2007). Cultural intelligence: Its measurement and effects on cultural judgment and decision making, cultural adaptation and task performance. Management and organization review, 3(3), 335-371. 3) Ang, S., Van Dyne, L., Koh, C., Ng, K. Y., Templer, K. J., Tay, C., & Chandrasekar, N. A. (2007). Cultural intelligence: Its measurement and effects on cultural judgment and decision making, cultural adaptation and task performance. Management and organization review, 3(3). 5) Groves, K. S., Feyerherm, A., & Gu, M. (2014). Examining Cultural Intelligence and Cross-Cultural Negotiation Effectiveness. Journal of Management Education. 6) Salacuse, J. W. (2005). Negotiating: The Top Ten Ways that Culture Can Affect Your Negotiation. Ivey Business Journal. 7) Ang, S., Van Dyne, L., Koh, C., Ng, K. Y., Templer, K. J., Tay, C., & Chandrasekar, N. A. (2007). Cultural intelligence: Its measurement and effects on cultural judgment and decision making, cultural adaptation and task performance. Management and organization review, 3(3), 335-371. 11) Rose, R. C., Ramalu, S. S., Uli, J., & Kumar, N. (2010). Expatriate performance in international assignments: The role of cultural intelligence as dynamic intercultural competency. International Journal of Business and Management, 5(8), p76. 12) The Role of Cultural Intelligence in Marketing Adaptation and Export Performance (2013). Journal of International Marketing Vol. 21, No. 4, pp. 44-61. 15) Santos, J. F., & Williamson, P. J. (2015). The new mission for multinationals. MIT Sloan management review, 56(4), 45-54.